Here in the maritimes we don’t always get snow in the fall. We get lots and lots of rain. Combine the fall rain to the amount of rain we get in the spring and this is a recipe for basement foundation leaks. 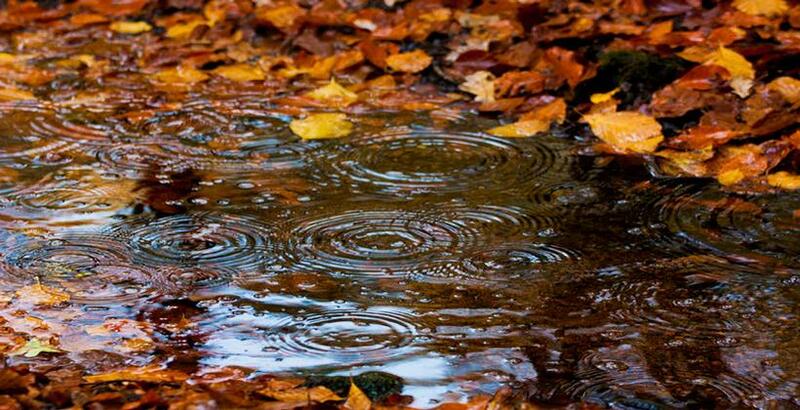 Leaves can clog up the gutters causing the rain water to not follow the right paths to drain properly. The water the goes into the ground and puts pressure on the foundation wall. Changes in temperature, pressure and time are all that’s needed to make a basement leak. In the spring, gutters can get clogged or blocked by ice buildup. Although it’s pretty to see the icicles hanging from the side of the house, this also means the water isn’t draining properly through the gutters. Gutters are designed to make rain water flow away from your home. Gutters will channel the water into weeping tile, drain tile or rain barrels. If you’re using rain barrels, make sure to check them often as you don’t want them to overflow. Clear gutters means you will channel the water away from your basement. Make sure to check and clean your gutters twice per year.